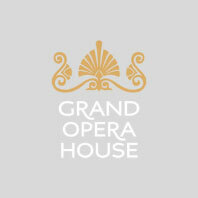 These new tours are designed for children aged under 10 years of age and their families to learn about the history of the Grand Opera House. Tours will last approximately 40 minutes. Children should be accompanied by an adult. 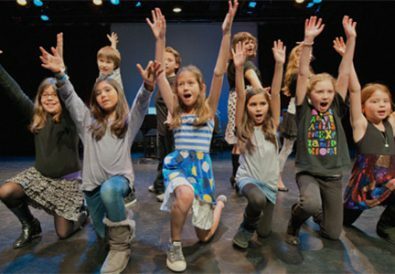 These workshops, hosted on the Grand Opera House stage, are an exciting opportunity for young children to learn some basic choreography and find out what it takes to be the next big star. All you need to bring is your imagination! Express your creativity and have fun as you produce your own play to share with your family at the end of the workshop! Tickets: £20. Price includes tricks to take home. Calling all young budding magicians – come along to a “Street Magic” workshop at the Grand Opera House! Watch some great street magic performed by professional magician John Ussher before being taught the inside knowledge and secrets of some amazing tricks. You will learn to perform close-up magic tricks that will astound your friends and family, which can be performed anytime, anywhere with just simple items you carry in your pockets. These mini master-classes are a great introduction for children to the colourful world of stop motion animation! The workshops will allow partcipants to make a complete animated Lego film on a tablet using sound effects, visual effects, titles and lots of imagination! Your child will learn to use tablets and they will receive a copy of their film at the end of the session. Baby Dance is full of energy and movement designed especially for you and your little one! The class is jammed packed with fun action songs which will delight your child, as they jump up and down like a jack in the box, fly around the room like a rocket to the Blast Off song and so much more. Please note that an adult must accompany each child.